The children's picture book, Monster Removal Guide, written by Garett Gruber and illustrated by Patrick Carlson offers a clever and witty approach to the genre of monster themed books. This book, complete with comical and lively illustrations, will amuse children while fueling the imagination, as readers learn the most effective methods of monster removal. One example - monsters are afraid of vacuums. Therefore, a child wielding a vacuum is a force to be reckoned with in the world of monster eviction. In addition to the main body of the book, there is a section in back with pictures and brief descriptions to help identify various monster species. (A word to the wise, Mean-Spirited Hamper Elves are found primarily in large piles of laundry.) This section is followed by two pages where children can enter their own drawings along with descriptions of monsters which they may happen to encounter. Children are encouraged to submit names and descriptions of any monster sightings not already included in the Monster Removal Guide book to the Monster Removal Guide website. This book comes highly recommend by Children's Literary Classics. 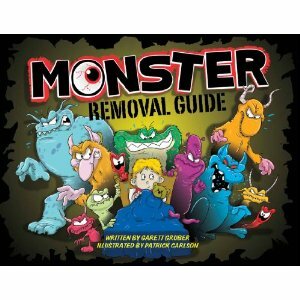 Monster Removal Guide earns the Children's Literary Classics Seal of Approval, a designation reserved for those books which uphold the rigorous criteria set forth by the Children's Literary Classics review committee, a team comprised of individuals with backgrounds in publishing, editing, writing, illustration and graphic design.